Luxor Writing Instruments Pvt. Ltd (LWIPL) is the leading manufacturer of writing instruments in India for over three decades with over 220 million pens produced every year in Luxor, Pilot and Parker brands. 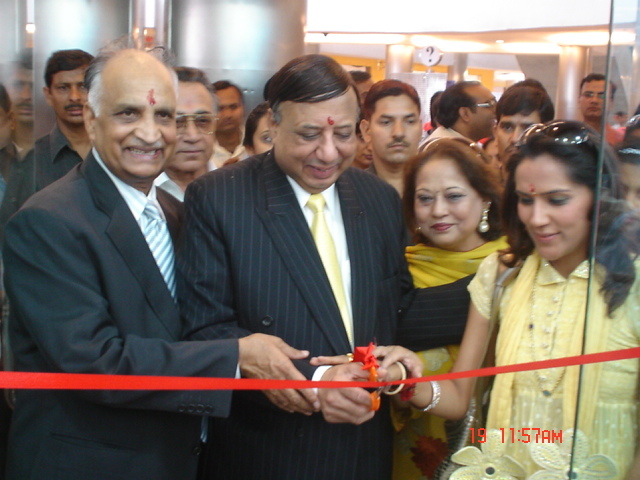 Dr. Ashok K Chauhan, Founder President, Ritnand Balved Education Foundation (RBEF) today inaugurated the ‘Luxor Signature’ company’s exclusive retail showroom with the unveiling of Waterman Man 100 Gold worth Rs. 4, 50, 000 at the Great India Place, Noida.